On this page you will find lists of resources for assistance for food that I have taken the time to search for you. 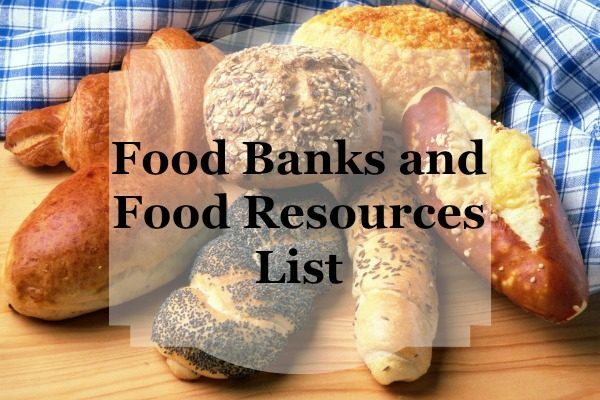 Click here then find your country and go from there to find a food bank near you. The Commodity Supplemental Food Programs (CSFP) is a Federally funded program, which works to improve the health of low-income pregnant and breastfeeding women, other new mothers up to one year postpartum, infants, children up to age six, and elderly people at least 60 years of age by supplementing their diets with nutritious USDA commodity foods. It provides food and administrative funds to States to supplement the diets of these groups. Emergency food and shelter board program Does not provide direct client assistance. Funded Organizations, are organizations in your community who may be able to assist or refer you to the appropriate assistance. Find a Food CO-OP near you The Coop Directory Service is an online source of information about natural food co-ops. WIC Woman , Infants and Children WIC is a food and nutrition program that is here to help pregnant women and families with young children. The Special Supplemental Nutrition Program for Women, Infants and Children (WIC) provides nutrition education, nutritious foods, breastfeeding support and information. If you are a senior, living in Wisconsin on a fixed income, over 60 years, or if you care about someone who fits this description, sign them up for the monthly Stockbox program! It’s free, pre-packaged boxes of food delivered to low-income senior housing sites and senior centers. How to get help. Kohl’s Cares and Hunger Task Force (Milwaukee)- Kohl’s Serving Up Supper for Kids. Through this program, kids 18 and under can eat supper this summer at supervised locations like schools, parks and community centers throughout Milwaukee. Dial 2-1-1 for meal times and locations closest to your zip code. PLEASE HELP! I’m a single mom in need of help. I need a new bed for my 9 y.o. and some new school clothes that must be uniform in navy blue,white,black and khaki.Can you find it in your heart to help me? Are there any of theses pantries or food distribution in new york state? Yes just click the links to find one in your area.